Block out that ambient sound for good quality dictation playback with Olympus E-20 Earphones. The E-20 Earphones are small, ultra-lightweight monaural earphones, great for undisturbed reviewing of recordings. The E-20 monaural earphones have a sensitivity 94 dB and frequency response from 300 to 5,000 Hz. 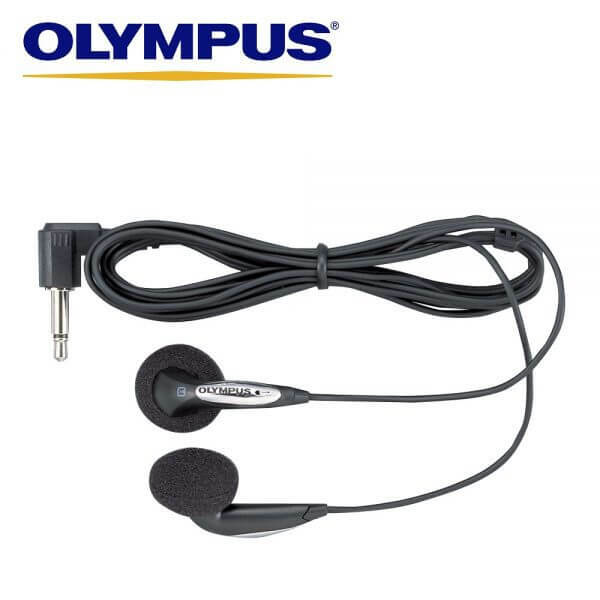 Suitable for recorder with 3.5mm jacks. Cord length: 1.1m.